The Burn and Plastic Surgery unit started at the Barishal Sher e Bangla medical college four years ago. Currently, there are 30 beds and the unit is supposed to have eight doctors and 16 nurses. However, there is only one doctor. As a result, treatment is impeded and many critically injured patients have to be sent to Dhaka. Some die on the way. He has taught four other persons to give first aid in case he is absent. Dr Azad’s duty includes giving rounds to the burn unit twice a week and treat patients. One day of the week is for operation. He also takes MBBS classes. But since there aren’t any other doctors, he is forced to work round the clock. With thirty beds, Dr Azad has to face a lot of pressure. Every day, 8-10 patients get admitted to the unit. In the last one year, 1035 patients got admitted to the burn unit and of them, 912 recovered while 15 died. 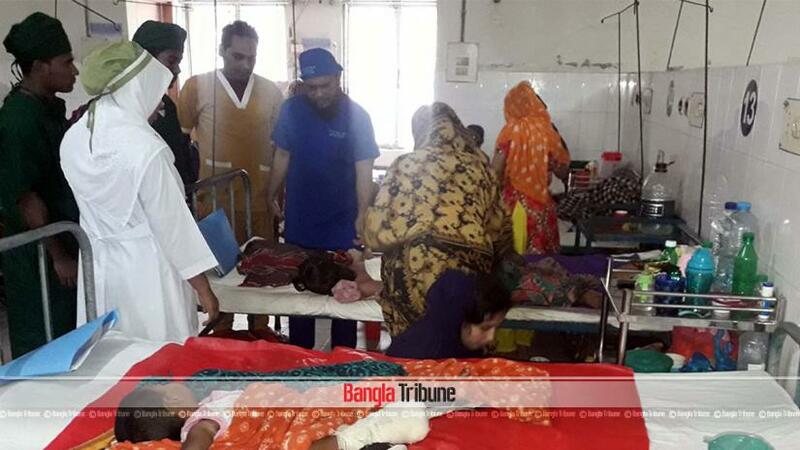 There were 3650 minor operations while 51 cases were sent to Dhaka.